A garage door can represent nearly 40-percent of your home's curb appeal, which makes choosing the right design important. 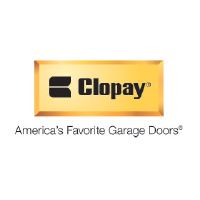 As North America’s leading residential garage door manufacturer, Clopay has the widest selection of styles and materials available to make your home stand out. We offer traditional, contemporary, and carriage house garage doors constructed in wood, steel, faux wood, and sleek aluminum and glass. And since every door is made to order, you have the flexibility to customize it with windows, decorative hardware, and many paint and stain finishes. Contact your local Clopay dealer for a personalized design consultation, installation, and service.